Arrival at Kilimanjaro Airport-JRO and transfer to the Eco Lodge in Arusha. After breakfast, drive to Arusha National Park for game drives, walking safaris/trekking and canoeing safaris in Lake Momella. 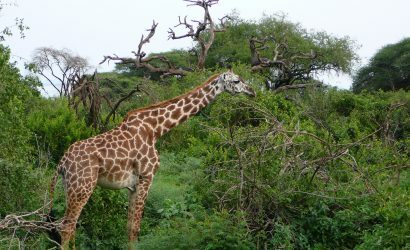 Arusha National park is the nearest park to Arusha town, Arusha town is famous Tanzania northern safari capital. 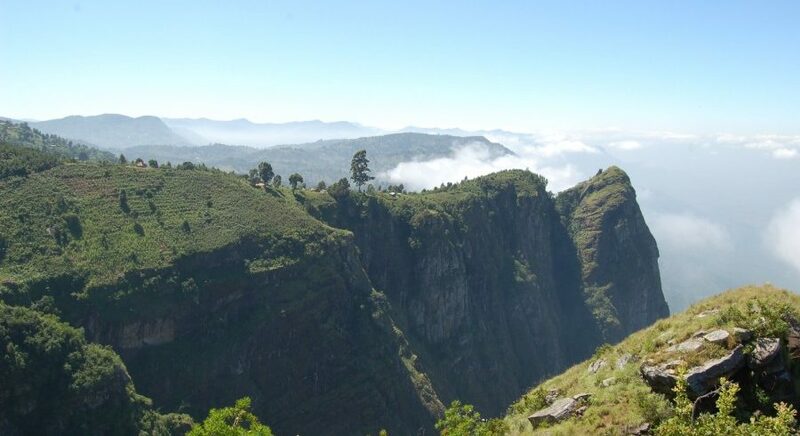 Great attraction features are Ngurdoto Crater,Lake Momella, Fig tree, Mount Meru. Among northern safari circuit where the acrobatic black-and-white colobus monkey is easily seen. 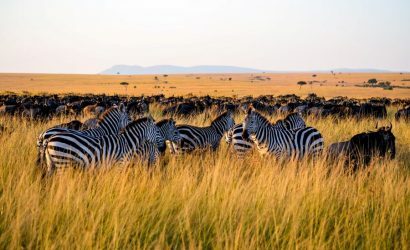 In the midst of the forest stands the spectacular Ngurdoto Crater, whose steep, rocky cliffs enclose a wide marshy floor dotted with herds of buffalo and warthog, and predators like Leopards and Hyena can be seen in early morning and late evening. Game drives in north, there is beauty of the Momela Lakes, each one a different hue of green or blue. 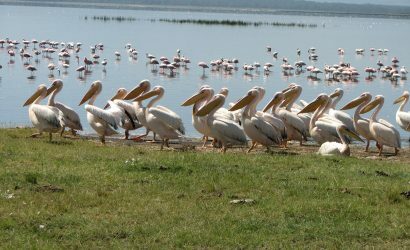 Their shallows sometimes tinged pink with thousands of flamingos, the lakes support a rich selection of resident and migrant waterfowl, and shaggy waterbucks display their large lyre-shaped horns on the watery fringes. Giraffes glide across the grassy hills, between grazing zebra herds, while pairs of wide-eyed dik-dik dart into scrubby bush like overgrown hares on spindly legs. In eastern side there is Mount Kilimanjaro can also be seen. 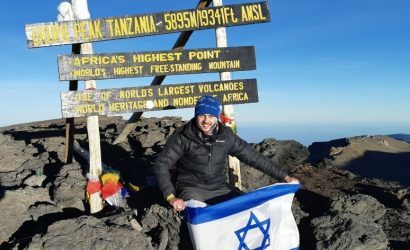 Tour to Kilimanjaro to See Mount Kilimanjaro, to explore history of first white men Hans Meyer, Ludwig Purtschelle, with guidance of local guide Yohana Lauwo for climbing mount Kilimanjaro to summit successful. Overnight will be at the Lodge/Hotel just at the slope of Mount Kilimanjaro. You will also see natural waterfalls at Kilimanjaro slope and cultural tourism there. Visit Materuni Waterfalls in Moshi, make coffee plantation tour and experience volcano tours geographical features in Lake Chala. Make day trek to Lemosho or Shira route Kilimanjaro western breach for scenery view of Kilimanjaro Snow. Drive to Mkomazi National park for wildlife viewing tours/game drives. 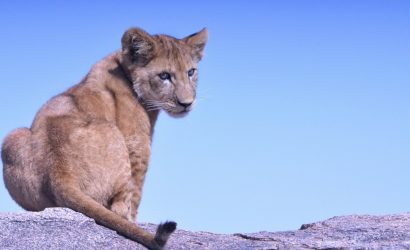 Mkomazi is a National park which is used as a refuge for black rhino, wild dogs, and hosts small and large mammals, including silver backed jackal, lion, cheetah, leopard, lesser kudu, giraffe, buffalo, elephant and zebra. Bird watchers also delight in trying to spot any number of Mkomazi's 450 avian species, from wood hoopoe to tawny eagle, parrot to kingfisher. Meals and overnight will be at budget or luxury lodges and camps. There is Babus Luxury camp or Elephant Motel. Another day for game drives in Mkomazi National park, Meals and overnight will be at budget or luxury lodges and camps. There is Babus Luxury camp or Elephant Motel. After breakfast, depart to Usambara Mountains for nature trekking,ecotourism,walking safaris and bird watching in Eastern Usambara Amani Nature reserve. Amani Nature Reserve. Regarded as the second largest botanical garden in the world, it was first settled by Germans in 1902. This is one of the biodiversity hotspot in the World. After all day tour activities, meals and overnight will be at Lushoto Executive Lodge, Grants Lodge, Mullers Mountain Lodge, Maasai Steppe, Irente Cliff View. Another full day in Usambara –Lushoto Tanga. Drive to Pangani Beach, for beach leisure and sport fishing. Meals and overnight at The Tides Lodge, Emayani or Tulia Beach Hotels. 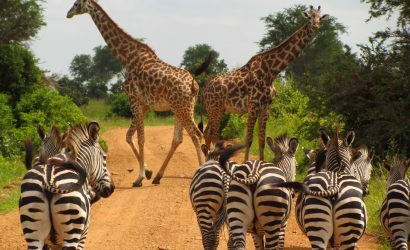 Drive to Saadani National Park for game drives,wildlife tours as well as beach relaxation. Saadani is the wonderful National park where beach meets the bush. The only wildlife sanctuary in East Africa to boast an Indian Ocean beachfront. Meals and overnight at Saadani Safari Lodge. Morning game drives/wildlife tours until lunch. After lunch drive to Dar es salaam Julius Nyerere Airport for flight back home.